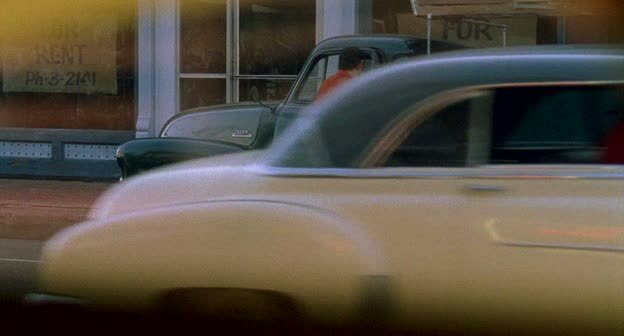 IMCDb.org: 1950 Chevrolet Styleline De Luxe Bel Air  in "Elvis, 2005"
1950 Chevrolet Styleline DeLuxe Bel Air coupe [HK2154]. Not it's different. 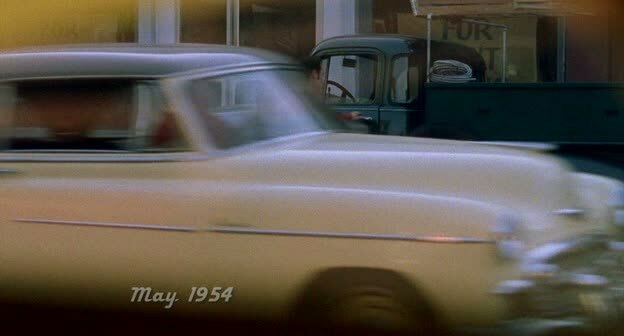 The car on thumbnail (clear blue) looks more a 1954 Chevy Two-Ten two door sedan (2102) with part of the side trim missed. The 150 I think did not get chrome on the trim. rjluna? vilero wrote The 150 I think did not get chrome on the trim. rjluna? Yes, it did not have the side trim, let alone with rubber stone guard at the front of the rear fender. The Deluxe/Two-Ten did have chrome stone guard at the front of the rear fender. 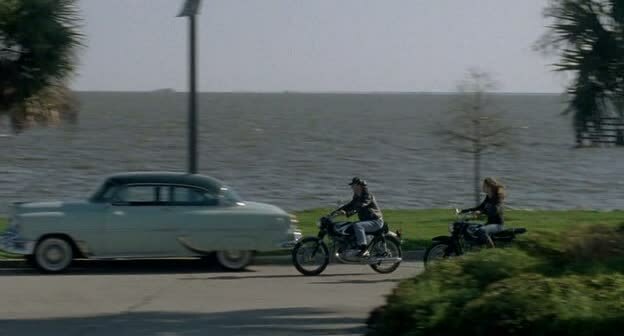 The Special/One-Fifty did not have the side trim until 1956 model year.